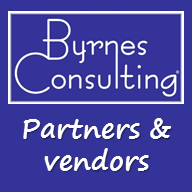 Byrnes Consulting strives to provide the highest level of service to its clients. In order to do that, Mike Byrnes has created a business model that pulls in the best service providers when needed, as part of Byrnes Consulting’s virtual team. Each organization is unique – each with unique needs to achieve increased success. Some of the following resources might be just the solutions needed to take a leap forward. Contact us for details and introductions. The vast majority of people have yet to receive a personalized video email. For that reason, and many others, they are effective with client relationship building and winning new business. Byrnes Consulting has created a program with best practices to help you hit the ground running. For more information, go to BombBomb.com/ByrnesConsulting. Sydney is a book ghostwriter, editor, publisher, and mentor for advisors and broker-dealers. Along with being the industry go-to person when it comes to books, she is also a terrific resource for website articles, white papers and more. Making a great first impression is crucial in today’s digital age. Make It A Great Day (MIAGD) helps with website design, copywriting and video services. Learn more about AdvisorFlex Websites, AdvisorCopy and Advisors Videos to help impress prospects to want to become clients. A national leader in RIA registration, transition and compliance support services that provides actionable advice and execution to advisors. Services range helping with launching to ongoing compliance, risk management and strategic support. Search engine optimization (SEO) will help prospects find any organization. Need help coming up higher in search results for your name, company name and other keywords? SEO4Advisors can help improve page ranks, especially with local searches. A proven graphic designer that has experience working with a wide range of companies, from Fortune 500 to small businesses. Keith Conforti (and Joyce Whitman) deliver outstanding work on every project they touch. Starting a new company or just need a new look? Let Twist Creative improve your brand. If you are looking to send electronic communications to your prospects, clients and strategic alliances, Constant Contact is the leader in the industry, providing numerous mobile-friendly templates to use. The advanced reporting for each message sent allows marketers to be smarter about what content to push out in the future to deliver the best results. One of the industry’s leading customizable promotional products retailers. As a friend of Byrnes Consulting, you are entitled to a 5% discount. Check out the latest marketing items, event give-a-ways and client gift ideas. Looking to buy, sell or merge a practice? Join this advisor network at 25% off using discount code BYRNS25OFF. 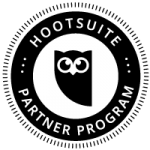 If you have an organization that needs to manage numerous social media accounts for both individual profiles and company sites, Hootsuite provides a cost-effective way to draft, schedule, share and analyze content. Hootsuite Pro can allow a few marketing professionals to efficiently communicate on the behalf of many. Focusing on serving the wealth management industry, this boutique management consulting firm helps broker dealers and financial technology organizations of all sizes achieve their growth agendas and realize marketplace opportunities through incisive strategies and innovative technology solutions. Looking for gift ideas that make a wonderful impression? Consider engraved items from ThingsRemebered.com. Contact us to receive 20% off your next order of $100 or more. Robert Fandel has over 20 years of experience. His organization provides a complete range of enterprise services in voice, power and data solutions. This technology vastly improves office efficiency by automatically updating marketing, sales, client service and compliance material from numerous sources in real time, eliminating costs, manual updates, human error, the need for paper (because of mobile apps) and more. Bill Winterberg helps independent financial advisory firms find and apply the right technology solutions to reduce expenses and increase profitability. Signing up for his Bits and Bytes video enewsletter is a must to stay up to date with the latest technology news in the industry. Need help with your marketing execution? Get discounts to Peter Montoya’s top-notch marketing material. Save on the MarketingLibrary or MarketingPro using the code byrnesMLN or byrnesMPro. A service for online document filings to form a corporation or limited liability company. It also offers trademark searches and applications, copyright registrations, DBA registrations, registered agent services and more.